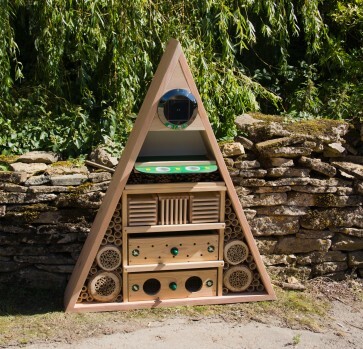 The Pyramid Insect Hotel is one of our most sought after and visually stunning habitats available. 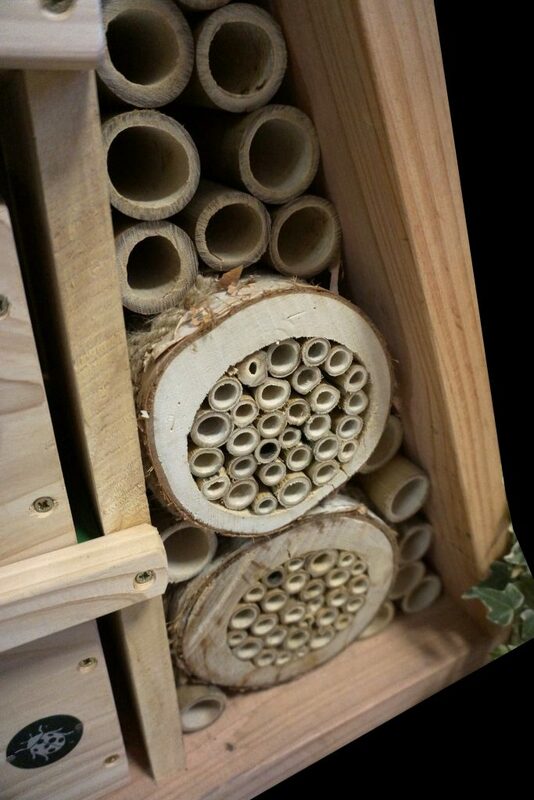 Designed and hand built in the UK from FSC certified timber for the study of mini beasts in schools. 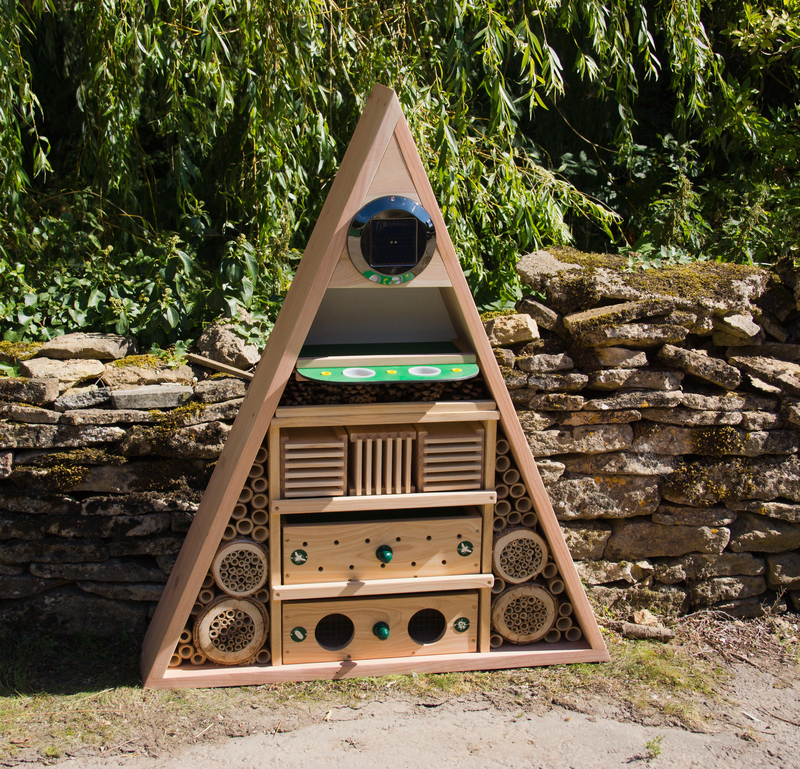 The Pyramid features multiple different types of habitat to attract different insects. 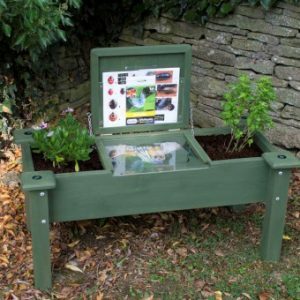 At the top a high powered solar light attracts night insects which in turn would attract bats. 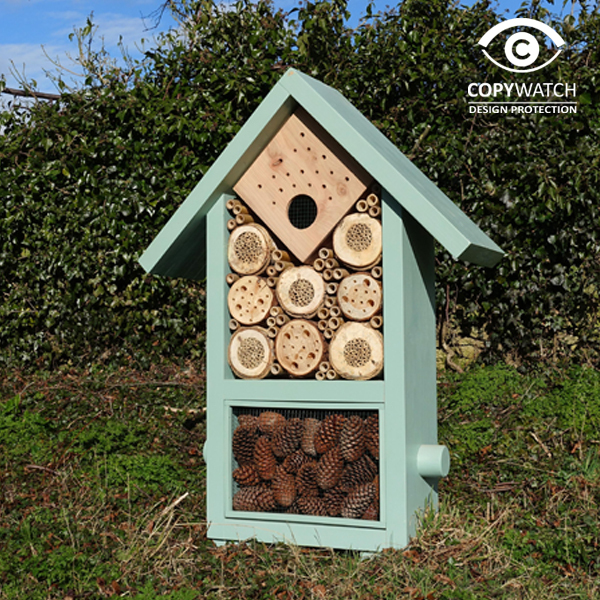 There is a butterfly feeding platform which has been constructed using recycled plastic and also has several feeding pots which can be filled either with sugar water or the Wildlife World butterfly food/attractant. The next chamber has 3 built in over wintering chambers for butterfly’s and other insects to have a safe retreat over the winter period as well as being fully removable for easy inspection and maintenance. 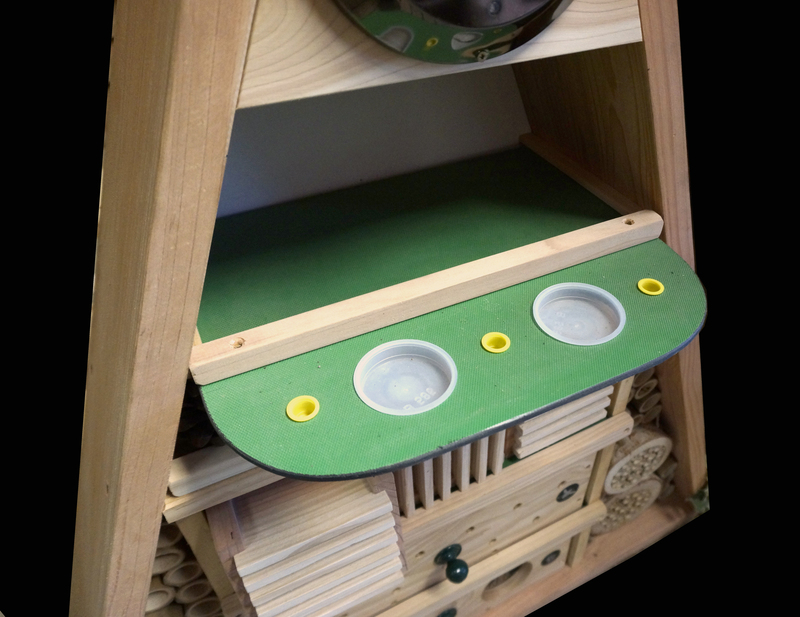 Below is the removable solitary bee drawer with built in view tubes allows the easy inspection and monitoring of solitary bees. 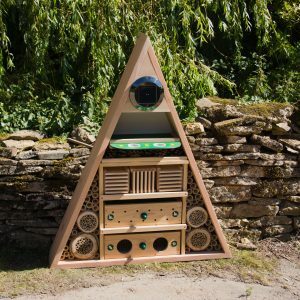 At the base of the Pyramid is a litter critter area to attract smaller ground insects including millipedes, woodlice, worms and several other ground insects. 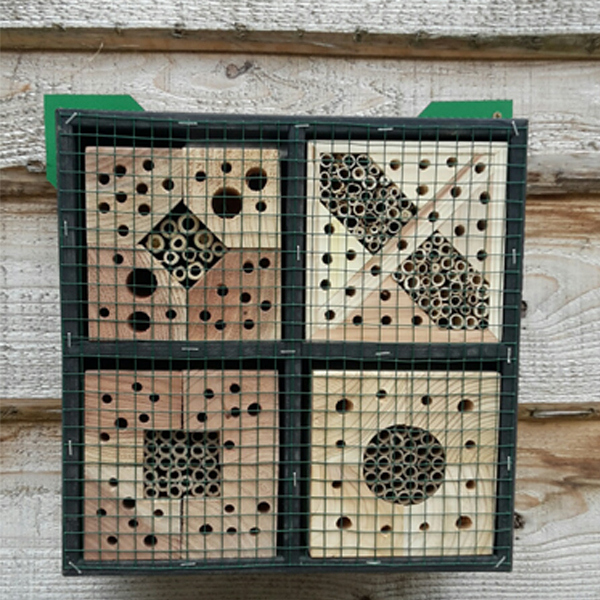 The sides of the Pyramid also feature several solitary bee nesting areas as well as multiple areas for additional insects and bugs to coincide with each other creating the perfect beneficial insect habitat. 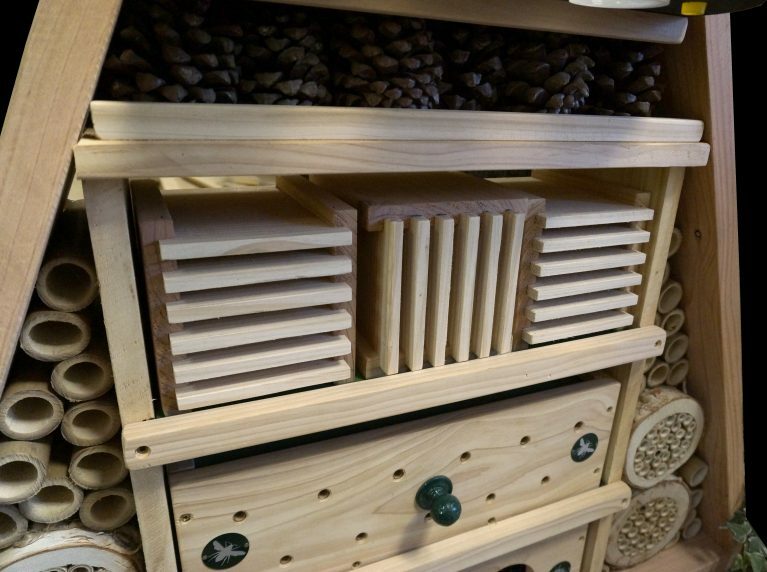 Included with the pyramid is your free key stage II solitary bee lesson plan making it a perfect addition to any school environment. 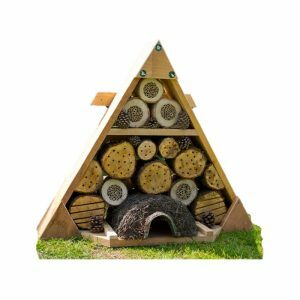 The Pyramid also comes with a free pack of UK native top 10 wildflower mixes which also includes a solitary bee life cycle guide and identification guide.